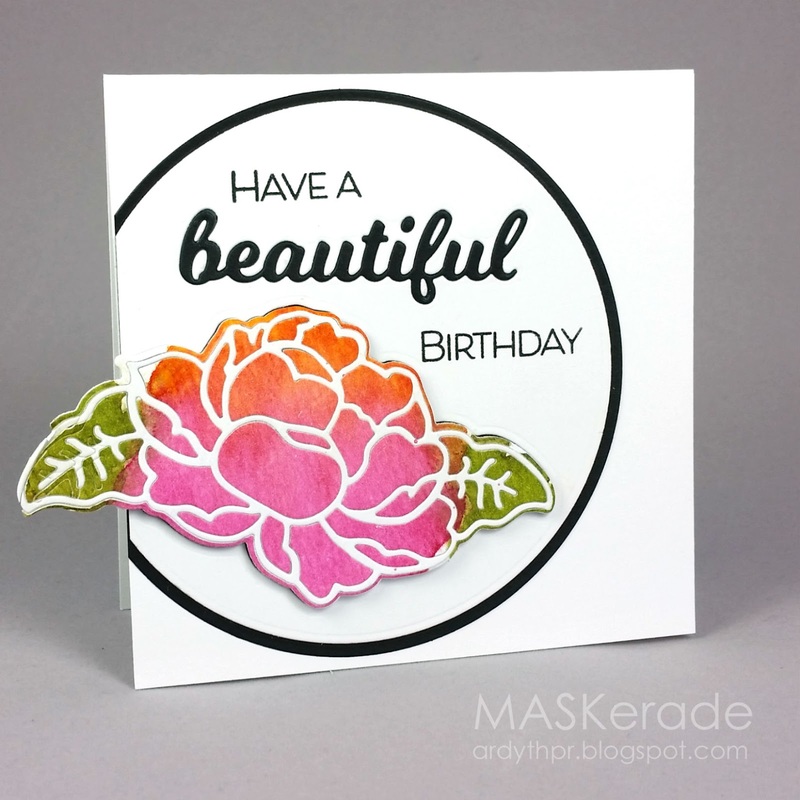 Congratulations to this week's Splitcoaststampers' Featured Stamper Cindy (aka Weekend Warrior). I loved Cindy's 'messy', outside the lines watercoloured look, but mine didn't turn out as pretty, so I cut it out and inlaid the watercoloured pieces back into the outline die. I like to use Be Creative tape for that - it gives a sticky surface for all the little pieces to adhere to. Beautiful card! Thanks for the video showing how you "lined up" the watercolors. Very pretty Adryth. Love how the flower hands off the card. Pretty colors.